Ian is a realtor with a track record few can equal. Now in his 35th year of real estate, very few active real estate people have his experience, depth of knowledge and marketing/negotiation skill set. And this is available to you at our sensible standard fee. Jacqui Kalka is one of those rare and delightful real estate agents. 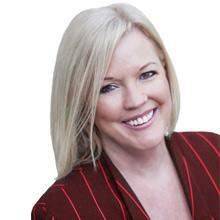 Always ready with a smile, Jacqui brings a sense of reality, integrity, honesty and fun when selling your property. You can have absolute confidence in her and relax and let Jacqui get on with the job. 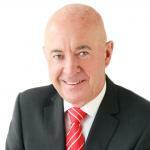 An agent with a heart, with compassion, real sales skills and that winning smile! Mike Lloyd is a special agent as he always brings a sense of realism and fun to his real estate work. He understands that selling your property is a big moment in your life and how important it is to you that everything is done with the highest level of skill and service. Blockhouse Bay house values increased by 23% over the last year to 846,200, New Windsor values increased 24% to $851,050. Lynfield values increased by 19% to $890,050. The average time it takes to sell a property in the general Blockhouse Bay area is currently 31 days. Most expensive sale: $2.4m in July 2013, in Himalaya Crescent, Lynfield. To find out who sold it and the best agents to sell your home, go to our Agent Selector Service. "The Blockhouse Bay/Lynfield area is now attracting serious interest from young professional buyers and cashed up migrants alike. We expect the demand to continue to set record sales prices for local vendors." "The Bay has always been recognised as a haven for switched-on home buyers but now investors are also seeing the light. We have a growing database of active investors who are anxious to secure quality homes." Blockhouse Bay's older brick and tile homes on larger flat sections have become the focus of serious buyer (and developer) attention of late. The suburb is transforming by the day and its population profile is becoming younger and more professional. Ian Keightley and his wife and business partner, Jacqui Kalka, are suburb specialists and jointly own the Mike Pero Real Estate franchise covering Blockhouse Bay, Lynfield and surrounding suburbs.